I have a 2002 Camry with a factory Delco stereo in it (Radio, CD, Cassette). There is no external amplifier that I am aware of. The goal is to replace it with a Pioneer unit. The audio connector that plugs into the back of the radio is the one in the photo below. My challenge is that nobody seems to have it. The Best Buy computer said the had the correct part, until I got to the store. So did the auto parts store. Amazon has some that look close, but I want to be more sure before I order. Would anyone in this forum have any thoughts on this? What brand name and part number of the installed stereo? The non-remote amp stereo typically has harness two plugs not one. If possible investigate deeper into the harness plug wiring. Some times the other plugs are there but covered with tape and attached to the wiring. Thanks for the response. The solution to this puzzle is that the radio is a Delco. 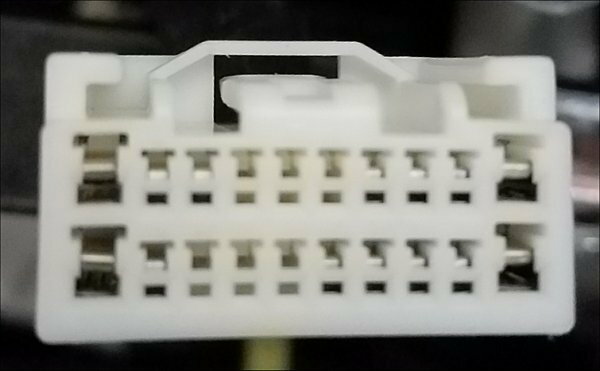 It was made by General Motors, and hence it is a General Motors connector. This is why none of the Toyota connectors seemed to work. How it wound up in a Camry is a mystery to me. Now I can move forward with my project. Thank you again for your time in this matter. Delco radios were installed in Camry. The connector you showed in the link is exactly what the old radio plugged into. Wound up taking the car to best buy, with the Pioneer deck I bought at Walmart. Although the original radio said Delco on it, the tech told me it is a JBL, with an amp. Had no idea. The Pioneer, see below, having two preamp outputs fed right into the system. The harness, the part number of which I didn't get, had two rca connectors. He then split those into four. Aftermarket stereo always resets itself.